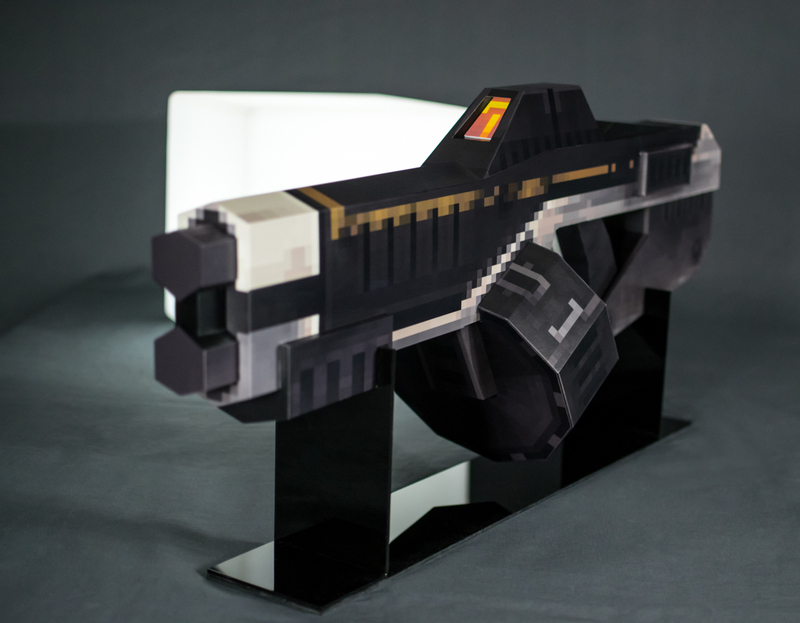 Created as a promotional piece as part of Pixel Titans’ Kickstarter for their retro first person shooter STRAFE, the Strafe Shotgun may look like a real weapon, but don’t let the high resolution graphics native to the world of Strafe fool you. 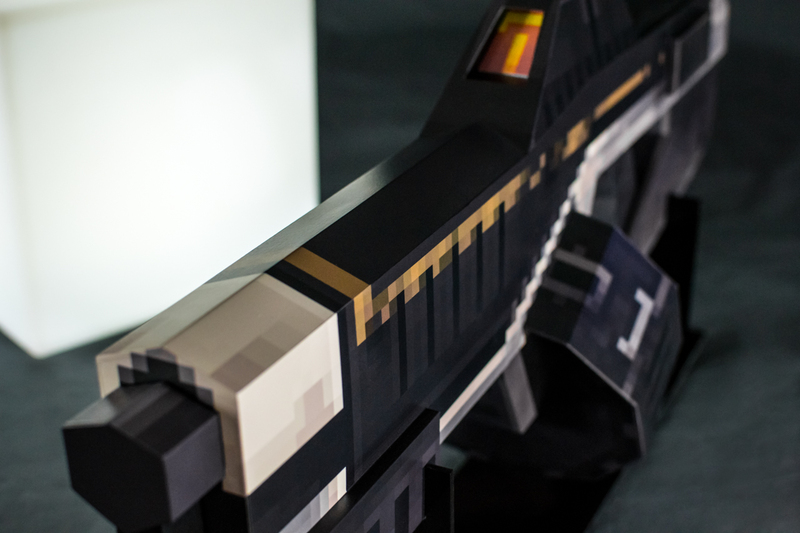 What you see here is a non-firing replica! 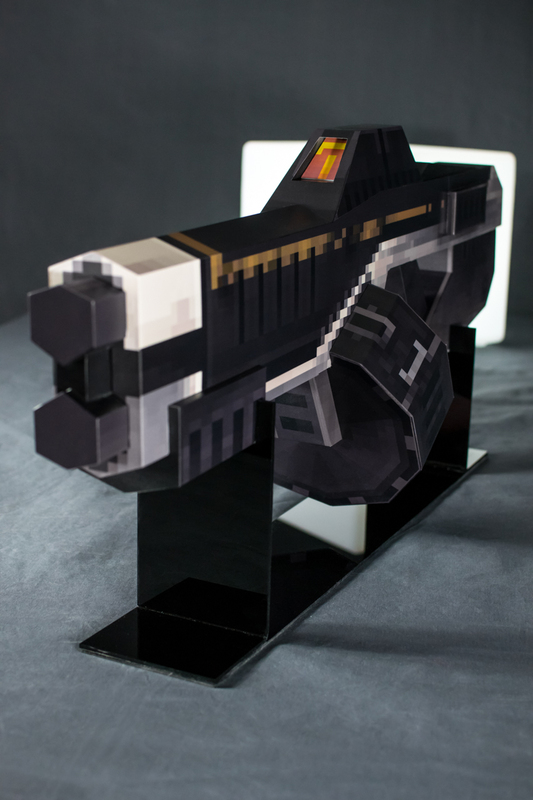 The pixelated appearance was lifted directly from in-game assets. 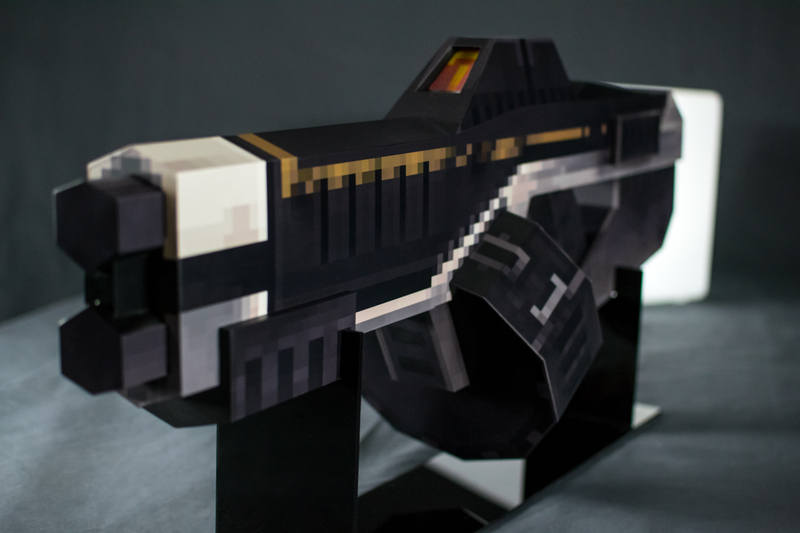 Unlike many game-resolution textures which would be insufficiently sized for real life printing, the large blocky nature of STRAFE’s visuals made these tiny files ideal. 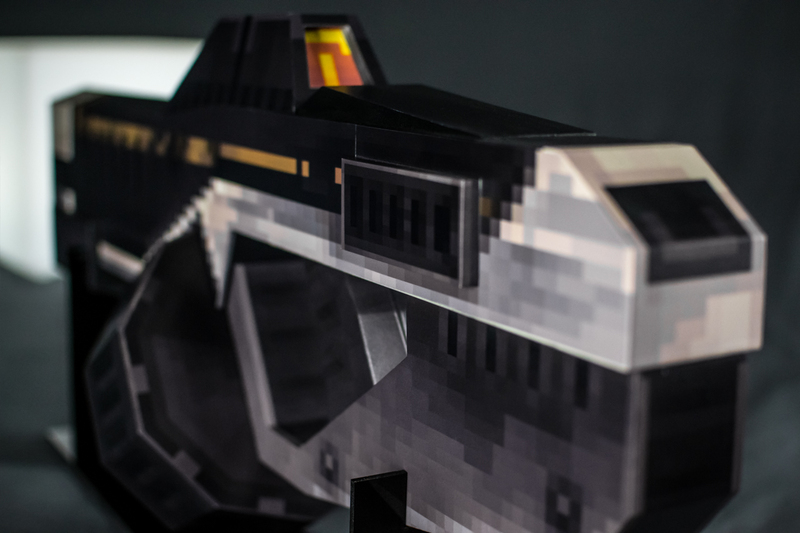 Texture maps were printed directly to adhesive-backed vinyl and the entire replica was wrapped instead of painted to better convey the look of broad, flat pixels. 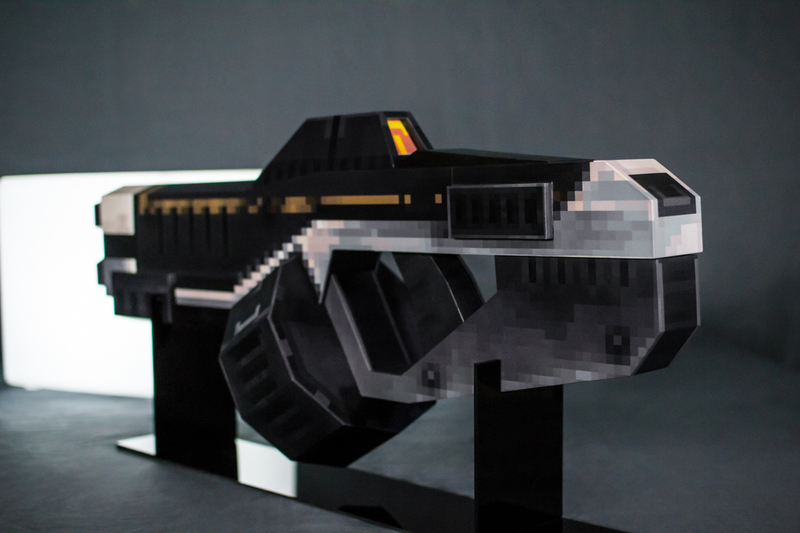 The final piece measures a little over 31″ in length, consists of four individually cast urethane parts, and weighs just over 5lbs. 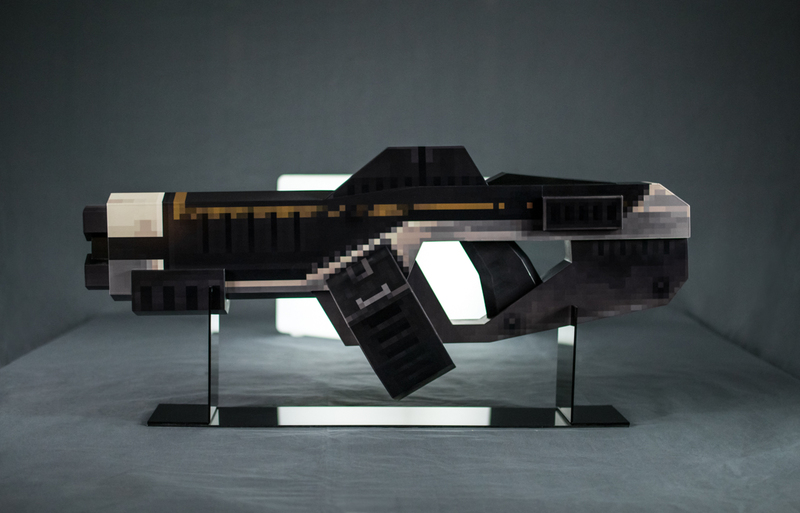 A winner was chosen as part of the “Volpin Giveaway” and one lucky project backer received this shockingly realistic weapon after the Kickstarter was successfully funded.